On Saturday 22 November 2014, a study trip was arranged to Fountain House, a mental health rehabilitation center, for students enrolled in the Abnormal Psychology course. 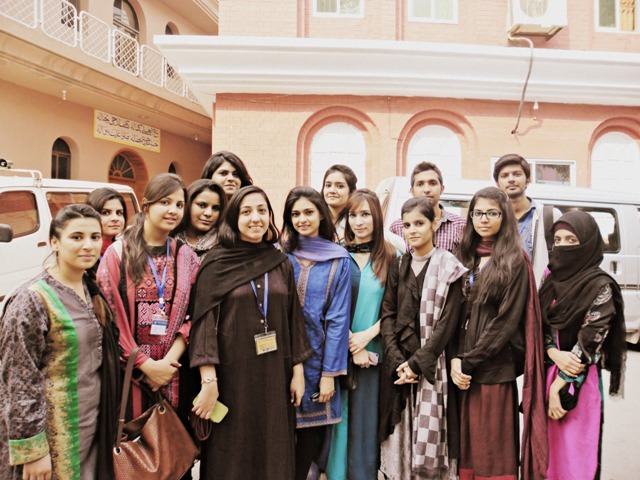 The tour was arranged by Ms Nazia Asif Takkhar and the Armacost Psychological Society, in order to provide awareness to the students regarding the manifestation of psychological illnesses in the Pakistani society. During the visit, the students got the opportunity to have their initial exposure to patients suffering from mental disorders such as Schizophrenia, mood disorders and substance related disorders. 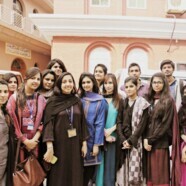 Initially, the students were taken for a tour across the institute in which they were shown the male/female wards and addiction unit, computer lab, library and other rooms which have been assigned for recreational activities and to promote the vocational skills of the patients such as painting, embroidery and art/craft work. The students also interacted with the patients individually during which they got to observe and identify the symptoms of mental illnesses which they have been studying in the course, while developing the basic skills of interacting with the patients of mental disorders while showing empathy. All in all, the visit left an encouraging impact upon the students to overcome the initial hesitation which they had, and provided greater direction towards the acceptance and tolerance of this highly significant, yet disregarded segment of the society. With those few hours that they spent at the institute, they were able to extend their warmth, care and attention to them, standing by the motto of FCC; “By love serve one another”.